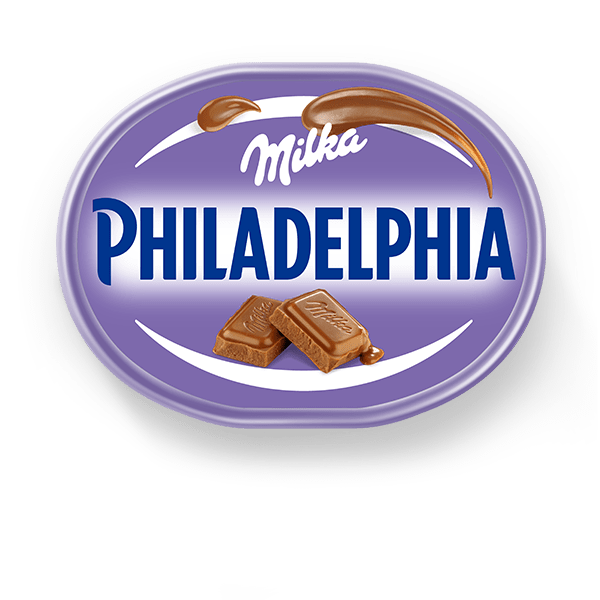 Made with real Milka chocolate, Philadelphia with Milka gives you all the pleasure of chocolate with the delicious taste and goodness of Philadelphia. Simply spread onto your favourite cracker or rice cake, Philadelphia with Milka is the perfect sweet afternoon snack, with only 85 cal per serving. Made with pasteurised milk. Suitable for Vegetarians. Medium fat soft cheese, sugar, cocoa butter, fat-reduced cocoa powder, skimmed milk powder, cocoa mass, whey powder (from milk), milk fat, stabilisers (locust bean gum, carrageenan, cellulose gum), salt, emulsifier (soya lecithin), flavourings, acid (citric acid).